A tour-de-force duet for advanced players based on a 1930’s jazz motif. Fun, but a powerhouse of a piece. Requires good flexibility, fast legato technique, and lots of energy! 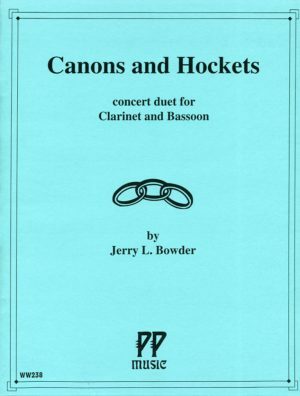 For clarinet and bassoon. A tour-de-force duet for advanced players based on a 1930’s jazz motif. Fun and games, yet a powerhouse of a piece. Requires good flexibility, fast legato technique, and lots of energy!